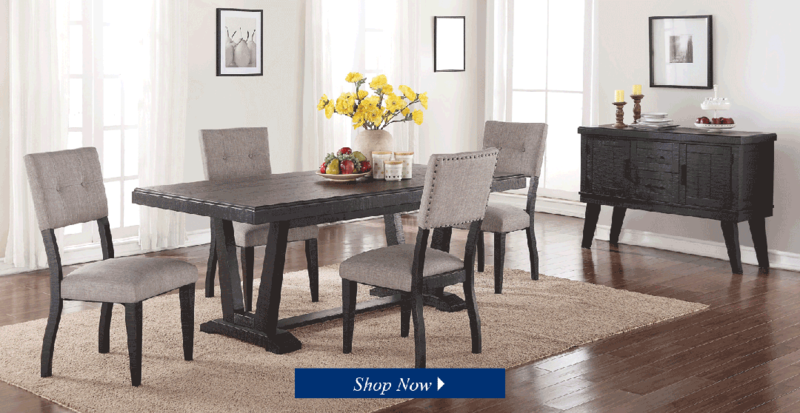 Forest Place dining set is shown in a charcoal finish accompanied by side chairs upholstered in a beautiful fabric and accented. with nail head trim. Available in your choice of dining or counter height, complete the look with the coordinating side board. 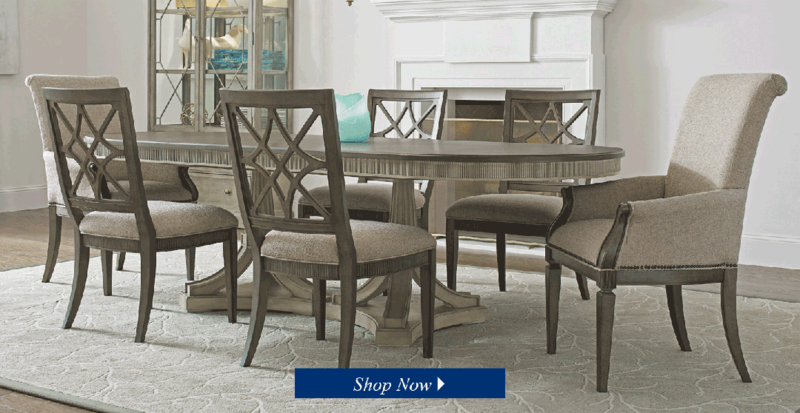 This sleek and modern collection is sure to enhance any dining room. Shock and awe your guests with the show-stopping silhouette featured in the Webster Street dining collection. 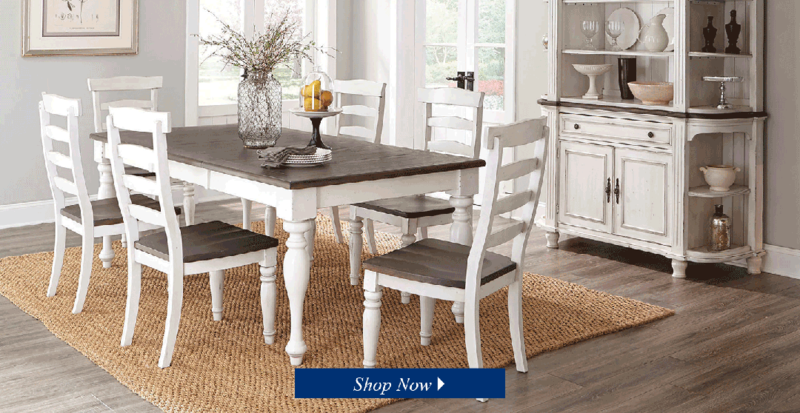 The rough hewn wood finish creates a more casual vibe that still offers the style of a more formal dining set. 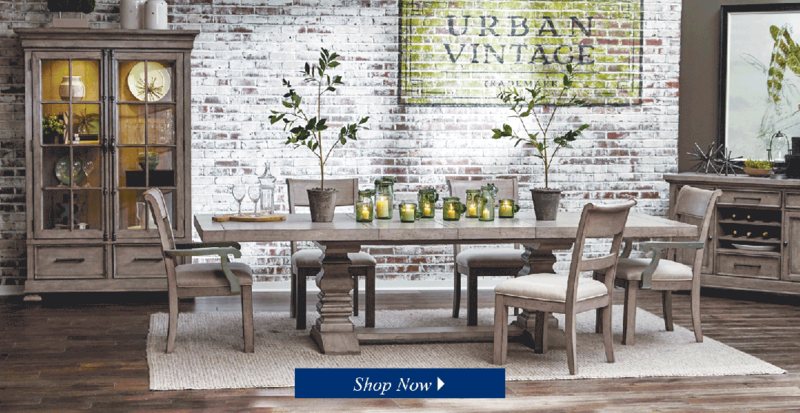 Create an urban oasis in your dining space with the Webster Street collection. Pure and simple, the Fairbanks dining collection showcases the beauty of solid wood with the rustic finish of a farmhouse antique. Vintage inspiration at its best gathering your family in the heart of your home. Would you like to create a thrifted look without the hassle or compromise on quality? Then you will adore the Dana Point collection. The weathered finish brings the pieces together to create a cohesive collection perfect for your farmhouse-inspired dining room. The pops of color result in an eclectic feel that will be uniquely you. Finely appointed details and casual, balanced structure contribute to Salina’s Old World European feel. 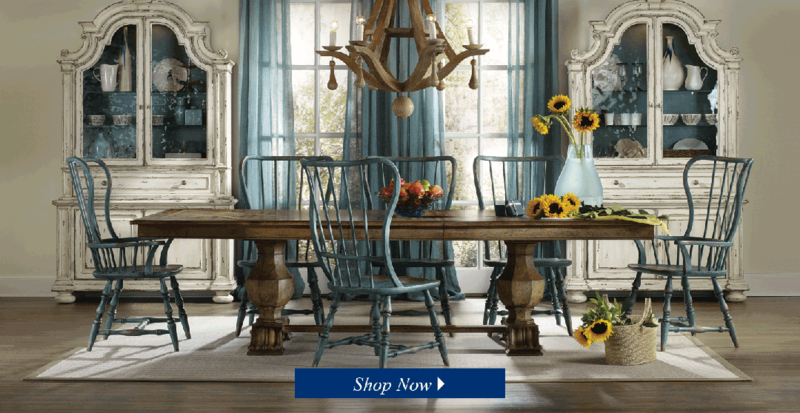 Inspired by Gustavian, European provincial and country cottages, the collection features a unique textured Versailles finish with contrasting elm tops. A variety of moldings, metal fretwork and antiqued mirror add an antique feel. The hardware complements the aesthetic with a vintage gold finish. 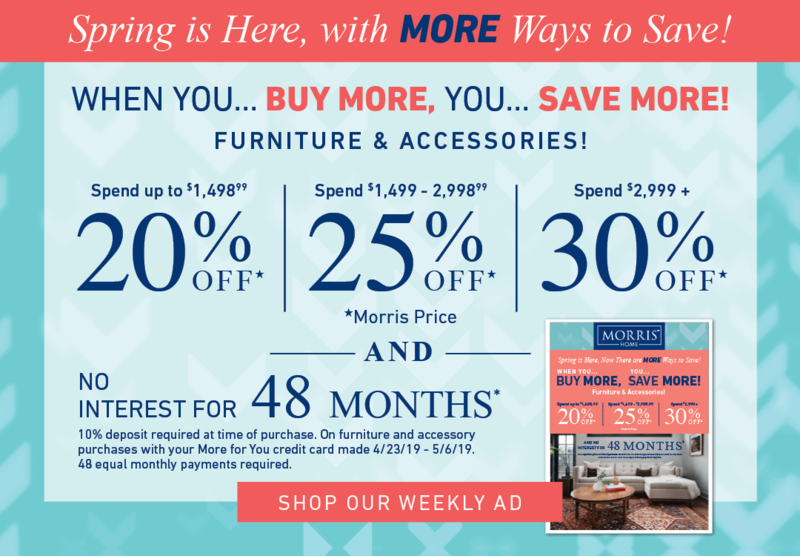 Perfect for clean, classic home styles, Salina puts a confident, elegant twist on antique Old World furniture trends, offering a vintage, antique feel without sacrificing reliability and quality.